Debois, D., Fernandez, O., Franzil, L., Jourdan, E., de Brogniez, A., Willems, L., Clement, C., Dorey, S., De Pauw, E. and Ongena, M. (2015). Plant polysaccharides initiate underground crosstalk with bacilli by inducing synthesis of the immunogenic lipopeptide surfactin. Environ Microbiol Rep 7(3): 570-582. Farace, G., Fernandez, O., Jacquens, L., Coutte, F., Krier, F., Jacques, P., Clement, C., Barka, E. A., Jacquard, C. and Dorey, S. (2015). Cyclic lipopeptides from Bacillus subtilis activate distinct patterns of defence responses in grapevine. Mol Plant Pathol 16(2): 177-187. Magnin-Robert, M., Le Bourse, D., Markham, J., Dorey, S., Clement, C., Baillieul, F. and Dhondt-Cordelier, S. (2015). Modifications of Sphingolipid Content Affect Tolerance to Hemibiotrophic and Necrotrophic Pathogens by Modulating Plant Defense Responses in Arabidopsis. Plant Physiol 169(3): 2255-2274. Sawicki, M., Ait Barka, E., Clement, C., Vaillant-Gaveau, N. and Jacquard, C. (2015). Cross-talk between environmental stresses and plant metabolism during reproductive organ abscission. J Exp Bot 66(7): 1707-1719. Delaunois, B., Jeandet, P., Clement, C., Baillieul, F., Dorey, S. and Cordelier, S. (2014). 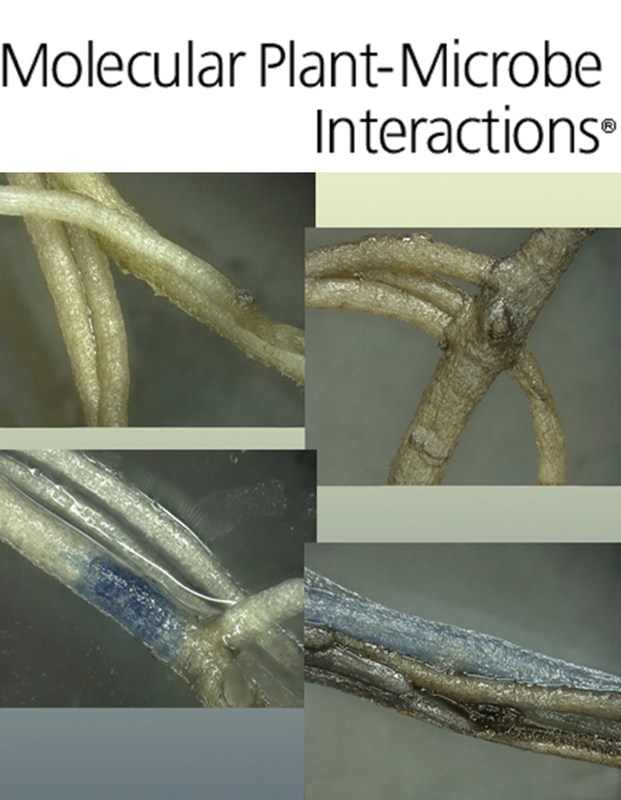 Uncovering plant-pathogen crosstalk through apoplastic proteomic studies. Front Plant Sci 5: 249. Jeandet, P., Clément, C. and Courot, E. (2014). Resveratrol production at large scale using plant cell suspensions. Engineering in Life Sciences 14 : 622-632. Spagnolo, A., Magnin-Robert, M., Alayi, T. D., Cilindre, C., Schaeffer-Reiss, C., Van Dorsselaer, A., Clement, C., Larignon, P., Ramirez-Suero, M., Chong, J., Bertsch, C., Abou-Mansour, E. and Fontaine, F. (2014). Differential responses of three grapevine cultivars to Botryosphaeria dieback. Phytopathology 104(10): 1021-1035. Trda, L., Fernandez, O., Boutrot, F., Heloir, M. C., Kelloniemi, J., Daire, X., Adrian, M., Clement, C., Zipfel, C., Dorey, S. and Poinssot, B. (2014). The grapevine flagellin receptor VvFLS2 differentially recognizes flagellin-derived epitopes from the endophytic growth-promoting bacterium Burkholderia phytofirmans and plant pathogenic bacteria. New Phytol 201(4): 1371-1384. Delaunois, B., Colby, T., Belloy, N., Conreux, A., Harzen, A., Baillieul, F., Clément, C., Schmidt, J., Jeandet, P. and Cordelier, S. (2013). Large-scale proteomic analysis of the grapevine leaf apoplastic fluid reveals mainly stress-related proteins and cell wall modifying enzymes. BMC Plant Biology 13 : art n° 24. Le Henanff, G., Profizi, C., Courteaux, B., Rabenoelina, F., Gerard, C., Clement, C., Baillieul, F., Cordelier, S. and Dhondt-Cordelier, S. (2013). Grapevine NAC1 transcription factor as a convergent node in developmental processes, abiotic stresses, and necrotrophic/biotrophic pathogen tolerance. J Exp Bot 64(16): 4877-4893. Fernandez, O., Theocharis, A., Bordiec, S., Feil, R., Jacquens, L., Clement, C., Fontaine, F. and Barka, E. A. (2012). Burkholderia phytofirmans PsJN acclimates grapevine to cold by modulating carbohydrate metabolism. Mol Plant Microbe Interact 25(4): 496-504. Fernandez, O., Vandesteene, L., Feil, R., Baillieul, F., Lunn, J. E. and Clement, C. (2012). Trehalose metabolism is activated upon chilling in grapevine and might participate in Burkholderia phytofirmans induced chilling tolerance. Planta 236(2): 355-369. Sanchez, L., Courteaux, B., Hubert, J., Kauffmann, S., Renault, J. H., Clement, C., Baillieul, F. and Dorey, S. (2012). Rhamnolipids elicit defense responses and induce disease resistance against biotrophic, hemibiotrophic, and necrotrophic pathogens that require different signaling pathways in Arabidopsis and highlight a central role for salicylic acid. Plant Physiol 160(3): 1630-1641. Sawicki, M., Jeanson, E., Celiz, V., Clement, C., Jacquard, C. and Vaillant-Gaveau, N. (2012). Adaptation of grapevine flowers to cold involves different mechanisms depending on stress intensity. PLoS One 7(10): e46976. Spagnolo, A., Magnin-Robert, M., Alayi, T. D., Cilindre, C., Mercier, L., Schaeffer-Reiss, C., Van Dorsselaer, A., Clement, C. and Fontaine, F. (2012). Physiological changes in green stems of Vitis vinifera L. cv. Chardonnay in response to esca proper and apoplexy revealed by proteomic and transcriptomic analyses. J Proteome Res 11(1): 461-475. Theocharis, A., Bordiec, S., Fernandez, O., Paquis, S., Dhondt-Cordelier, S., Baillieul, F., Clement, C. and Barka, E. A. (2012). Burkholderia phytofirmans PsJN primes Vitis vinifera L. and confers a better tolerance to low nonfreezing temperatures. Mol Plant Microbe Interact 25(2): 241-249.